Godzilla Motorsport from Australia has been running their RB26/RD28 powered Nissan GT-R in Australia for about the past year. They now have the car up and running on VR38 power. 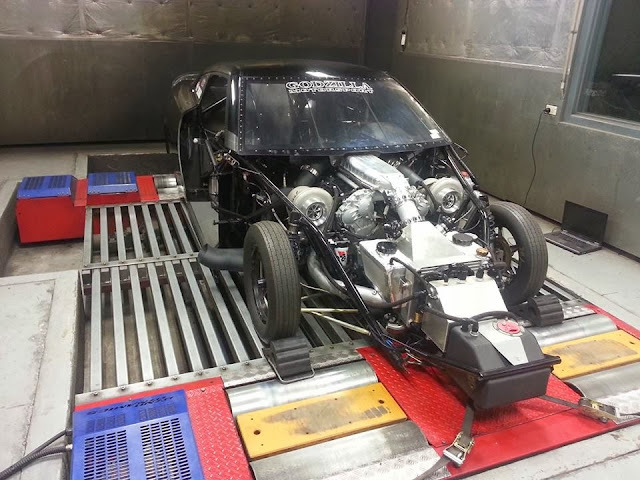 Check out this video of the car on the dyno at 28 psi. Looking forward to seeing it on the track at 50 psi+. Will this be the first 5 second "Import".